TOKYO, Jan. 28, 2013 — Ricoh Company, Ltd. today announced it has been listed as a Top 10 Managed Print Services (MPS) Provider as ranked by their 2011 estimated worldwide revenue1 in Gartner Inc.'s Competitive Landscape: Managed Print Services, Worldwide report dated December 31, 2012. Ricoh believes this reflects the company's intensified strategic focus on services that address customers' most important business challenges. "We believe this ranking reflects the significant progress we have made on the vision we communicated in January 2011 which was to invest $300 million to aggressively accelerate our shift to a services business model as a key growth strategy," said Sergio Kato, Deputy General Manager, Global Marketing Group/Services Business Center. "We are squarely on target to fulfill that mission while continuing to help customers optimize the creation of information, its movement around the business, and its output to the right people at the right time. Our commitment to this vision will be demonstrated not only in our success going forward, but more importantly, in our customers' success." Ricoh delivers MPS through its Managed Document Services (MDS) program, with an approach that is global in reach, adaptive to customers' unique needs and holistic in its strategic, vendor-agnostic view of how information flows through an organization. Ricoh helps businesses meet their goals by evaluating their current environment, then designing and implementing a solution based on best practices. 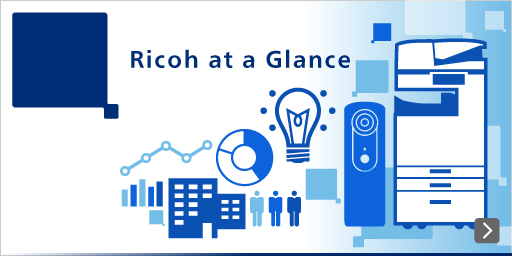 Ricoh then helps continuously improve the solution, employing our proprietary global cloud-based management tool, RICOH Global Clariti, to track global information infrastructure performance and optimize business results. Ricoh employs one of the largest direct sales and service organizations in the industry, covering enterprises of all sizes ? from global and national, to regional and local, mid-market accounts. For more information on Ricoh's Managed Document Services (MDS) strategy, delivery framework or services portfolio, visit mds.ricoh.com.